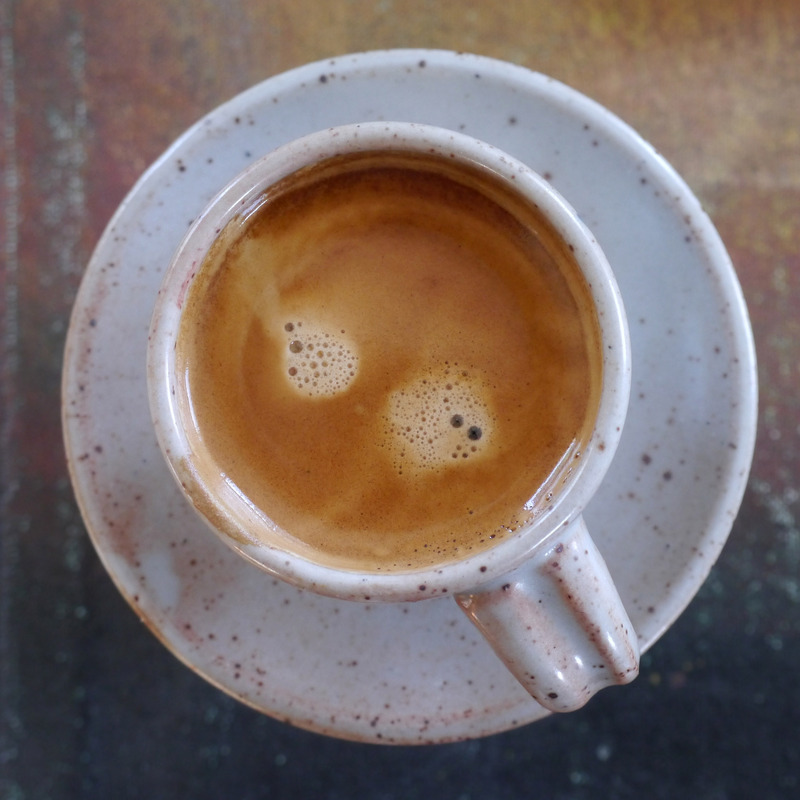 We have been serving organic fair trade espresso and cappuccino etc. since first opening Amazing Space, using the same Faema Family machine and grinder we bought back then. A manual machine, the Faema is calibrated for our high elevation and can make real crema, unlike most automatic push button contraptions. We use medium-dark espresso beans from Level Ground almost exclusively. Once in a while, on hot summer days we make affogato – espresso on ice cream – or iced coffees. 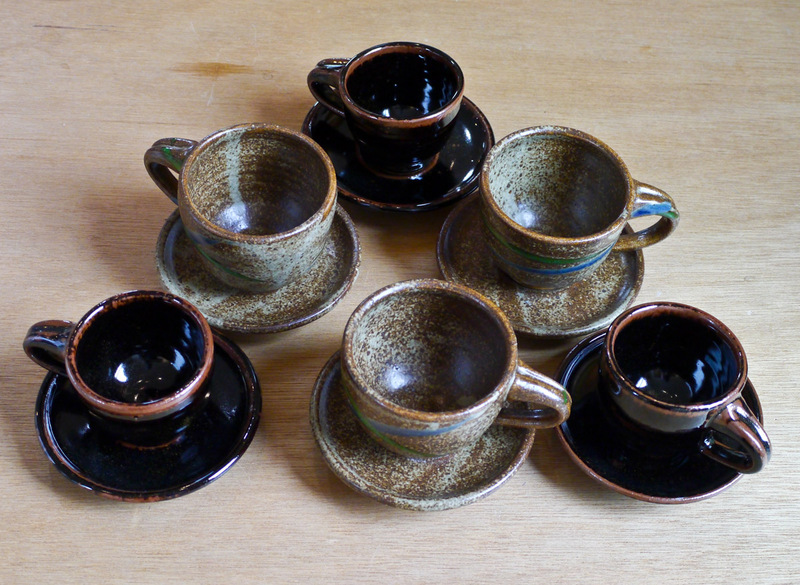 Periodically we have espresso cups & demitasses available for sale that are hand made by Burt Cohen using traditional Shino, Tenmouku and ash glazes. He modeled the demitasses on cups made at the Bernard Leach Pottery in the 1950s. Burt is the executive director of Potters Without Borders and operator of the Northfire pottery studio at the O’Keefe Ranch. Quality Coffee Systems has helped keep our machine running in recent years. Thanks to Keith Bennett for making us the lovely wooden tamper and base! 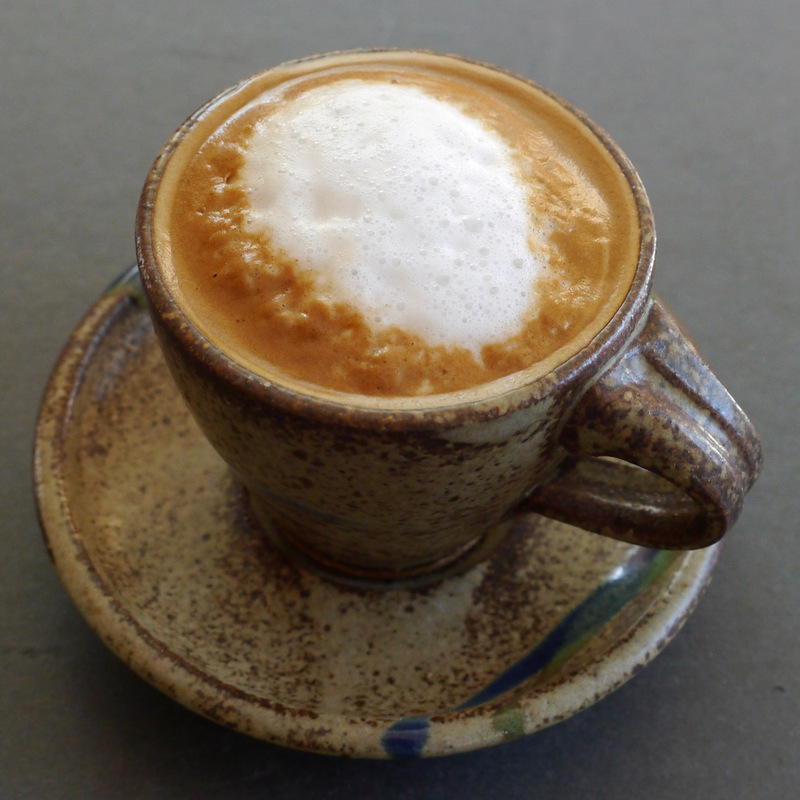 Short YouTube clip of our espresso & its variations ~ since 1997. – Fire Emergency New Zealand team (Whakaratonga Iwi), August, 2017 on a break from fighting the Plateau Fire near Hanceville.